Animal Wildlife | Frigatebird | The frigatebird is a large species of sea-bird that has an enormous wingspan that often exceeds two meters in length. 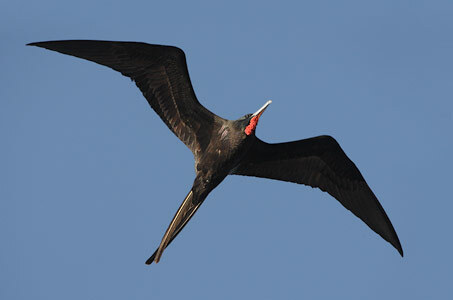 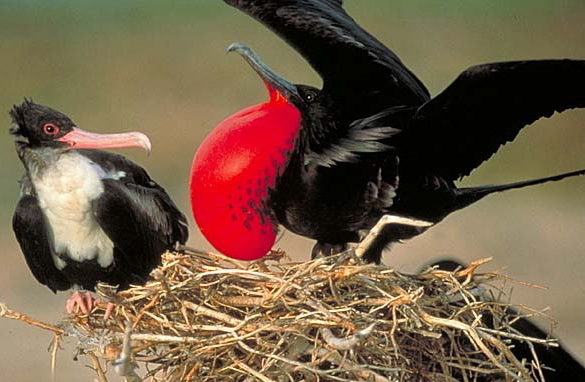 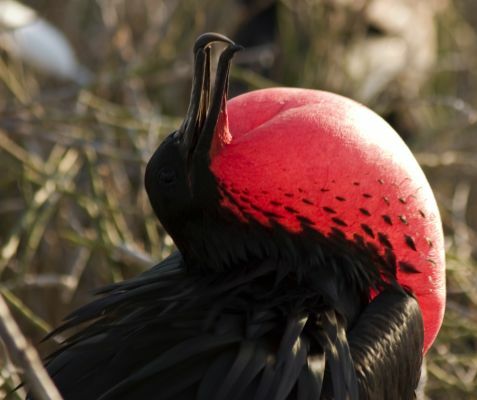 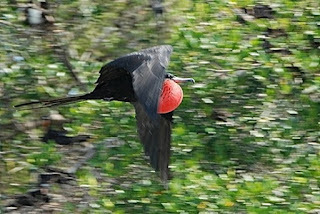 Male frigatebirds are most commonly known for their red throat pouch, which are inflated to attract female frigatebirds during the mating season. 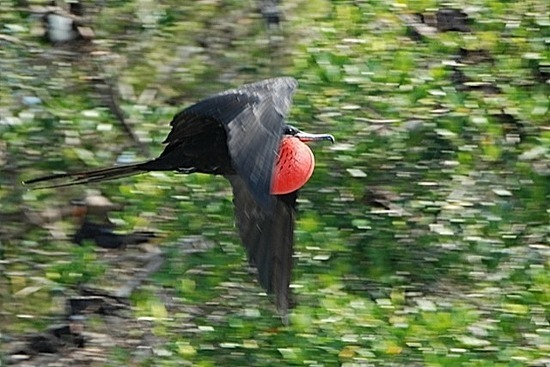 The frigatebird has the largest wingspan in comparison to it's body of any bird species in the world, so the frigatebird is naturally an adept pilot. 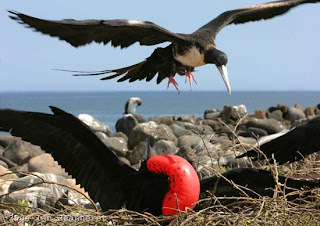 Frigatebirds have been known to stay in the air for nearly a whole week and only land on the rocky cliffs to breed or to rest. 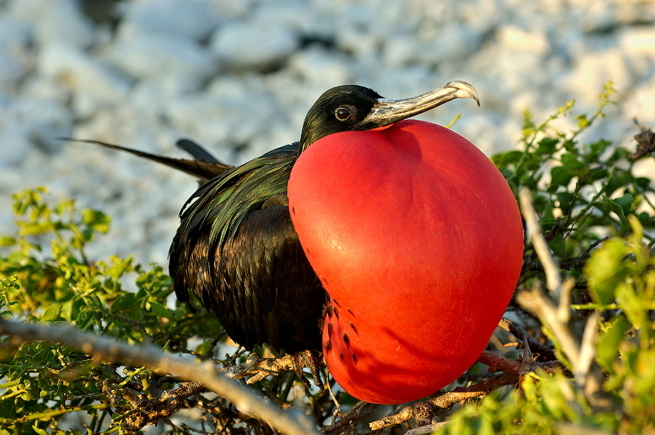 Due to the large size of the frigatebird and the fact that the frigatebird spends the majority of it's life in the air, frigatebirds have few natural predators with humans being the main predator of the frigatebird. 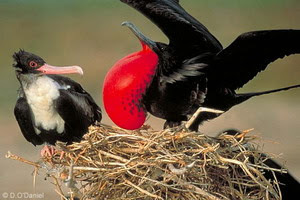 Introduced species such as rats, stoats and domestic cats are commonly found hunting frigatebirds and their eggs on the land. 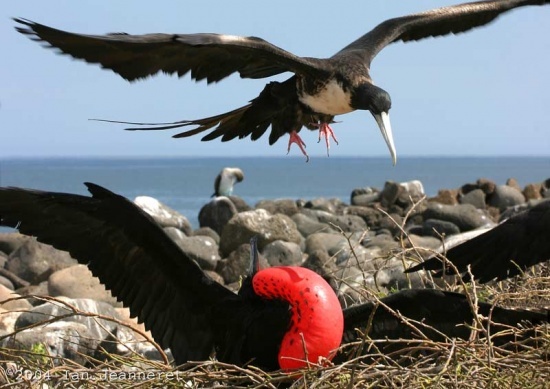 Female frigatebirds lay only one egg every couple of years as the frigatebird chicks taken an average of 9 months to rear. 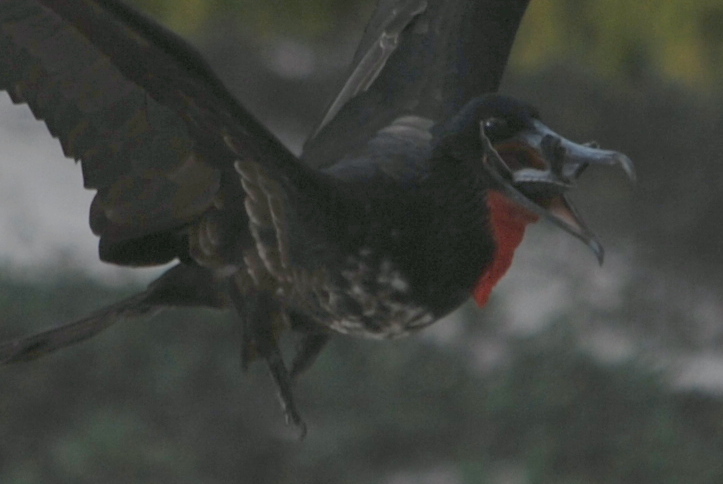 Both the male frigatebird and the female frigatebird feed their chick for the first few months but the male frigatebird will then leave the colony leaving the female frigatebird to do the rest of the rearing by herself.